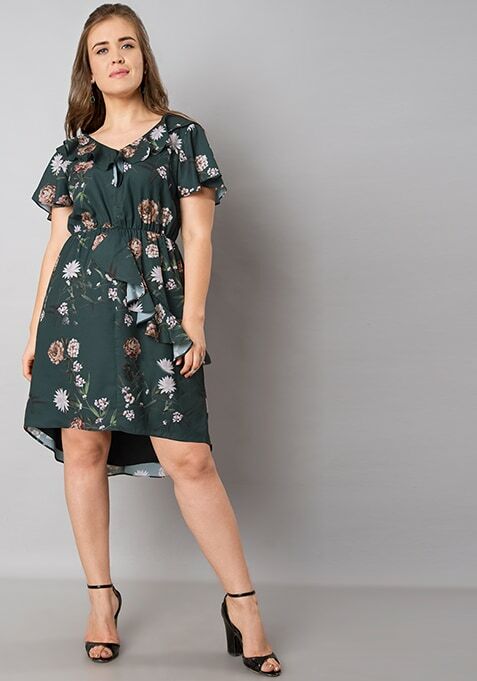 This Deep green floral ruffle dress is perfect for an updated 9 to 5 and beyond look. Crafted in georgette with ruffles on bodice, flare and sleeves, this dress is an absolute must-have. Work It: This dress looks great with strappy flat footwear.